As no man is born an artist, so no man is born an angler.' 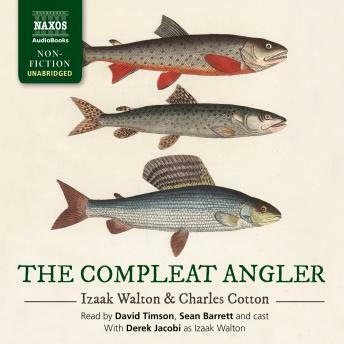 Isaak Walton's The Compleat Angler, long considered the bible of fishing, is a joyful celebration of the English countryside and the relaxed and reflective lifestyle of the devoted fisherman. Through dialogue between teacher and student, the book sheds a unique light on fishing, baiting, and cooking, including an original recipe for trout. Its music, rhymes, poetry, and humor are all brought to life by a full cast. As winding as a quiet brook and as bountiful as a bursting riverbank, The Compleat Angler is essential listening for any outdoors enthusiast.